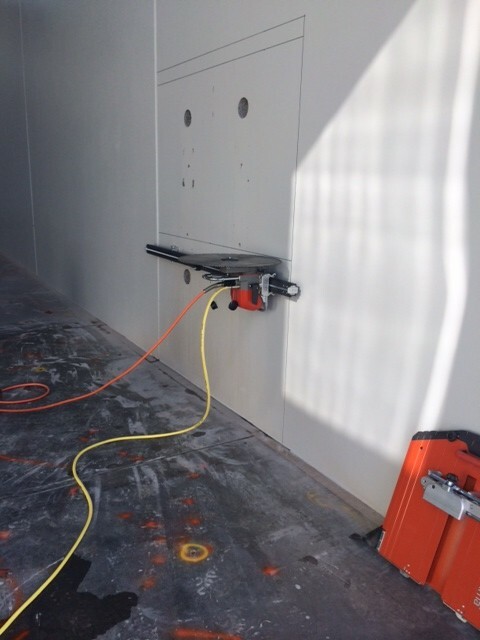 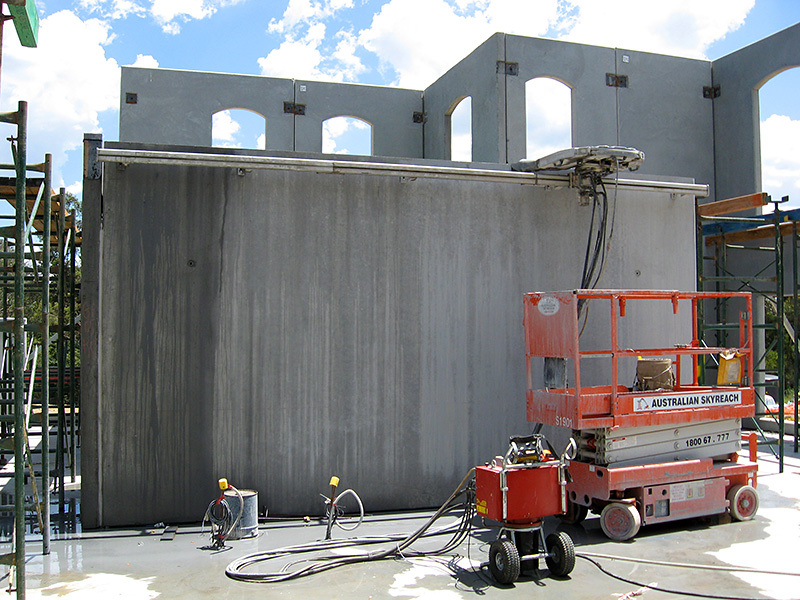 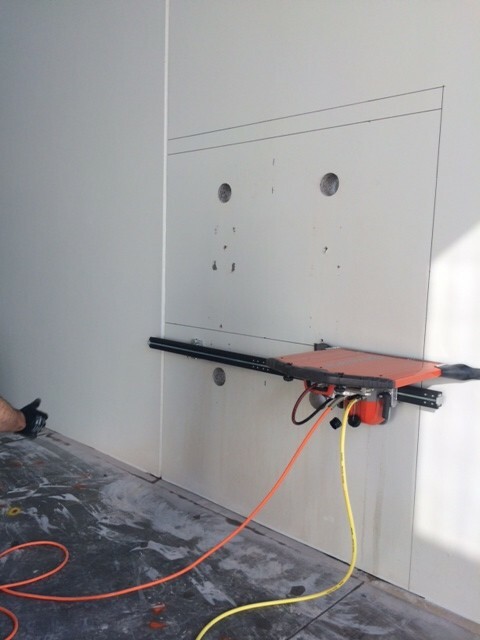 Auscut’s wall sawing service offers an efficient means for cutting precise openings in concrete structures such as masonry walls, pre-cast concrete, reinforced concrete and metal. 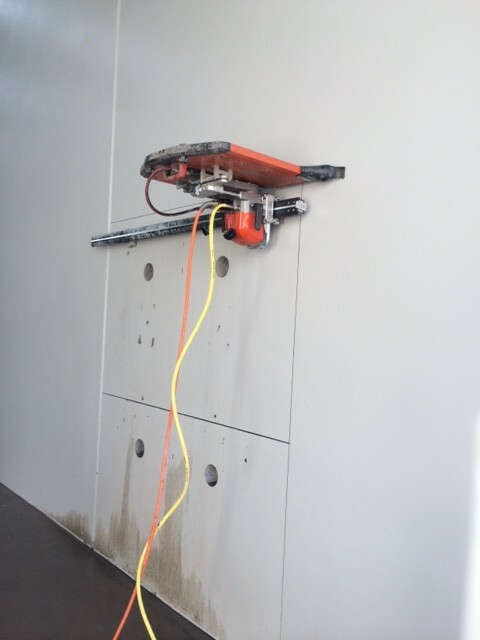 Our wall sawing system employs a circular blade on a track mounted hydraulic driver head. 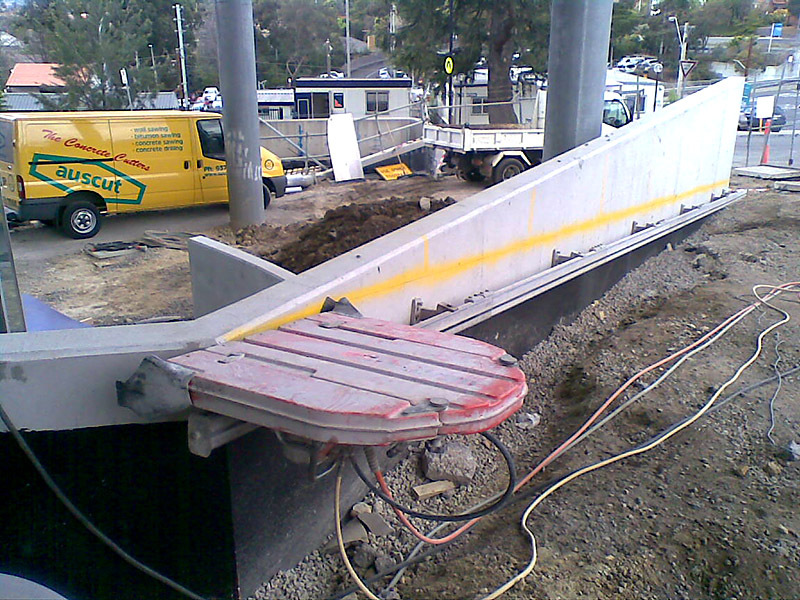 The track is securely attached to walls or inclines that are too steep or thick to allow the use of road saws or hand saws. 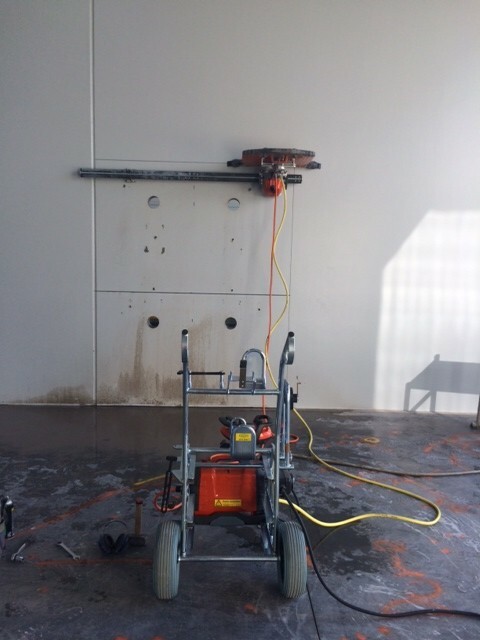 It can saw either horizontally or vertically. 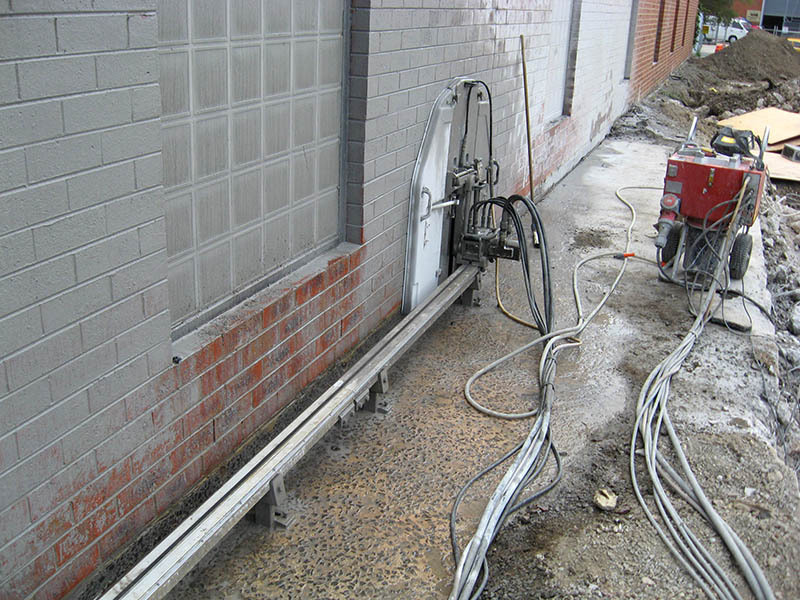 Auscut’s wall sawing units are driven by 3-phase electric power pack and can cut up to 700mm thick concrete. 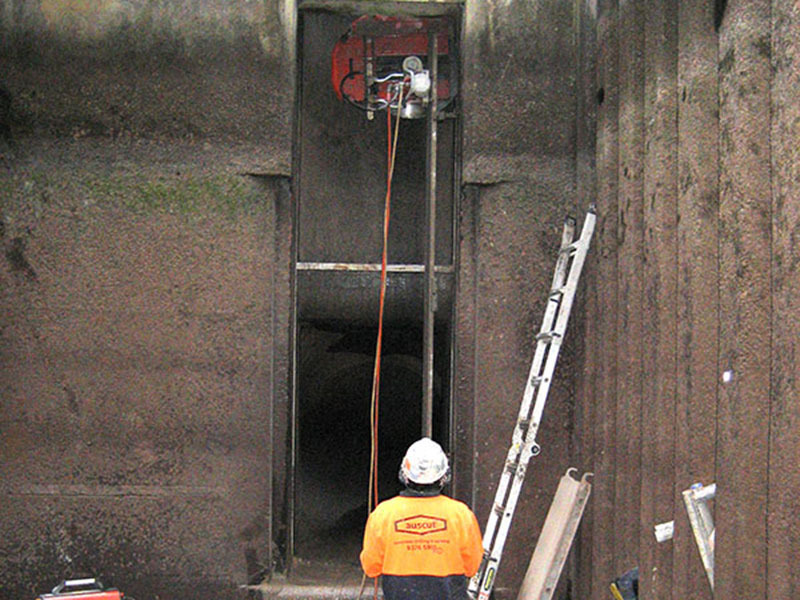 Remotely operated, this method of concrete cutting makes it ideal for confined spaces and demolition work and is typically used to cut openings for stairways, windows and doors, lift shafts and bank vaults. 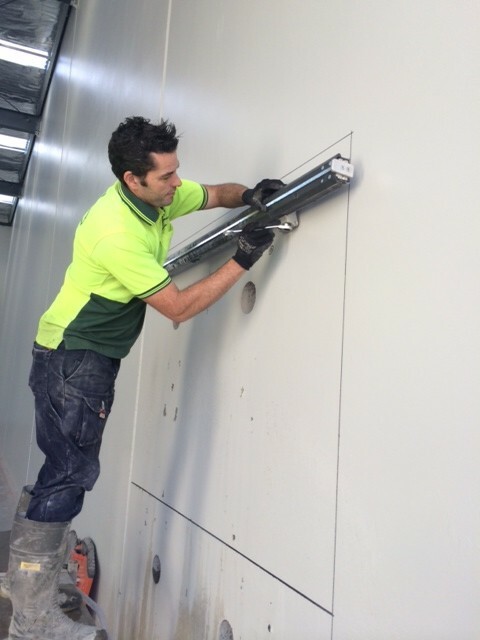 Often referred to as “track sawing”, wall sawing can produce level or beveled edges and produce a smooth finish on your cut.